April 2018 marks the 48th anniversary of Earth Month, when people participate in civic and sustainability actions around the world, and count down to Earth Day festivities on April 22. Whether you plant a tree, clean up a trail, swap out a light bulb, sign a petition, or opt to bike instead of drive, it’s our collective actions that have the power to improve the planet we all live on. 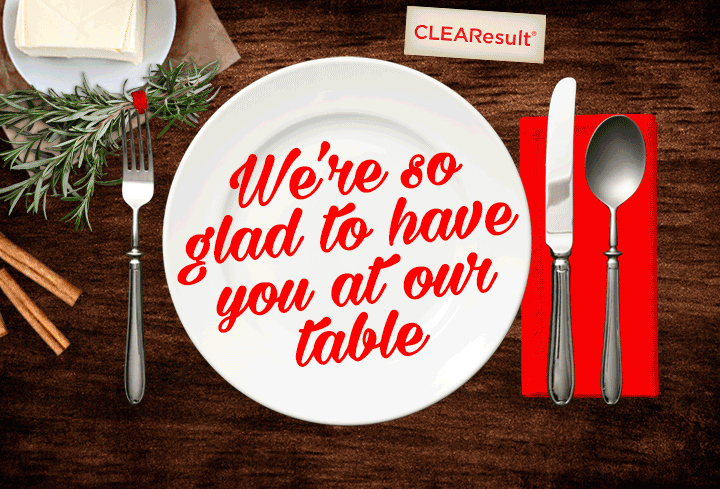 At CLEAResult, we’re committed to changing the way people use energy – save energy – every day. During Earth Month, we extend our reach beyond kWh, therms and joules, and enable and encourage our team to take part in a range of local activities and sustainability measures. Team members will commit to “Do One Thing” to fight climate change and help the planet. With this “What’s your DOT?” pledge campaign, we’ll join the movement started by the Alliance for Climate Education. Swap Events – where you bring in good and functional things from your home and swap them for clean and safe things from someone else’s home – will promote, “reduce and reuse” and help folks declutter too. Bike Commute Clinics will help new riders make the commute transition safely and with fellow riders. Tomato Plant Competitions will encourage the upcycling of containers, and produce some healthy tomato starters. Plastic Bag Events will showcase the opportunity for reusable grocery bags, and give communities the chance to recycle these bags that so often end up in landfills. Look for pictures and updates on social media from our teams across the continent during Earth Month – and feel free to share your Earth Month plans too!